Bassekou Kouyate is unquestionably the most innovative and exciting Malian musician to have emerged in recent years. Having defied tradition he continues to push the boundaries of his ancient musical heritage, bringing his music to audiences around the world with his phenomenal live band Bassekou Kouyate & Ngoni ba over three internationally acclaimed albums. Bassekou has become a major star amongst the new generation of African musicians. Bassekou has been revolutionary in establishing a new role for the Ngoni, a distant ancestor of the banjo and one of the oldest string instruments in Africa. Comprised of three strings, a calabash gourd and a wooden stick, it has been used for centuriesas a secondary orchestral instrument and ceremonial device. By adding strings, developing new techniques of playing, amplifying it and experimenting with sound effects such as the wah-wahpeddle, Bassekou has brought the instrument into the musical foreground where it is now a prominent feature of many Malian bands touring today. In Bassekou’s hands this seemingly limited instrument has grown to accommodate a wider melodic range and versatility embracing western styles such as jazz, blues and rock and roll, confirming his status as the originator of the electric ngoni, a virtuoso and a visionary. In less than 6 years, since the release of his first album with the Ngoni ba, Bassekou Kouyate has forged a distinctive sound earning him numerous accolades and awards. His debut album Segu Blue released by outhere records, became one of the most celebrated African releases of 2007, and was awarded Album of the Year and Best African Artist at the BBC 3 Awards for World Music. The success attracted American indie label Subpop, who picked up Bassekou’s sophmore album ‘I speak fula’ in 2010 as their first ever world music release. This second albumearned him his first Grammy Award nomination in 2011. 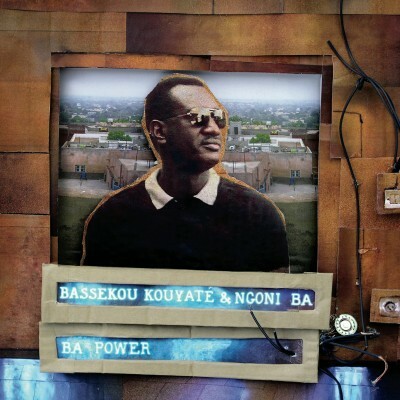 More up-tempo than its predecessor, the album captured the incredible live energy of Bassekou Kouyate & Ngoni ba prompting the Independent to call them “the best rock’n’roll band in the world”. Now an internationally renowned musician, over the course of his career Bassekou has played with stars such as Bonnie Raitt and Bono and won praise from legends like Eric Clapton. He also made a foray into blues and country with Taj Mahal and created freewheeling improvisations with banjo maverick Bela Fleck. Having regularly appeared on line-ups with Africa Express and Afrocubism in 2011 and 2012, he has performed on stage with the likes of Sir Paul McCartney, John Paul Jones, Damon Albarn and many more. 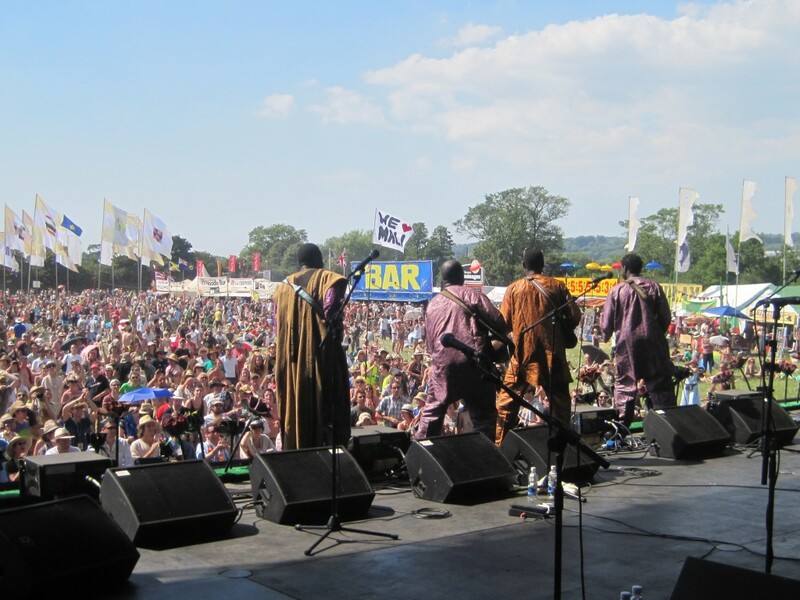 Comprised of his wife Amy Sacko (a popular Malian singer often hailed as “the Tina Turner of Mali’) and sons Madou and Mustafa Kouyate, Bassekou Kouyate & Ngoni ba now tour the world playing hundreds of performances a year ranging from New York’s Central Park and Fuji Rock in Japan to Glastonbury and Latitude festivals. Grammy Award nominated Bassekou Kouyate is the ambassador of the ngoni. It is his daring reworking of his musical heritage that makes him a truly contemporary African musician – a visionary and a maverick who has completely changed our perception of this ancient instrument. By reviving one of the oldest instruments in the world he has bridged the gap between the music of his forefathers to the21st Century, distinguishing him as an exceptionally talented artist of international stature.